It’s been a busy week as the lack of regular posts attests so I’ve not read through this, however I suspect it is very much of its time. 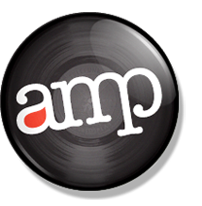 Regular readers might notice I’ve got a cute little indie ‘amp’ button badge up. My friend littlepixel has kindly worked it up for me. 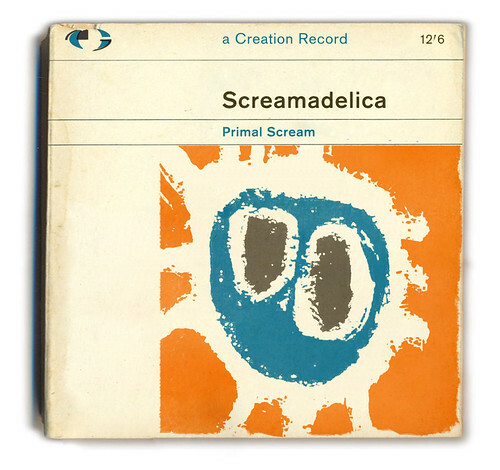 Please do visit his blog where he’s currently in the middle of ‘reimaginitizing’ a series of classic record covers in the mode of 1950/60’s Pelican book covers. Here’s just one of them. Leave him comments and love and I’m sure he’ll pixel more for you. G’wan he lives for this sort of thing. The Boiler by Special AKA is just finishing up. Harrowing and still shocking. Listen if you’ve not heard it before. Right I’m off to stick my new badge on to my charity shop cardy now so I can do some of my famed, doomed Morrissey dancing this weekend. 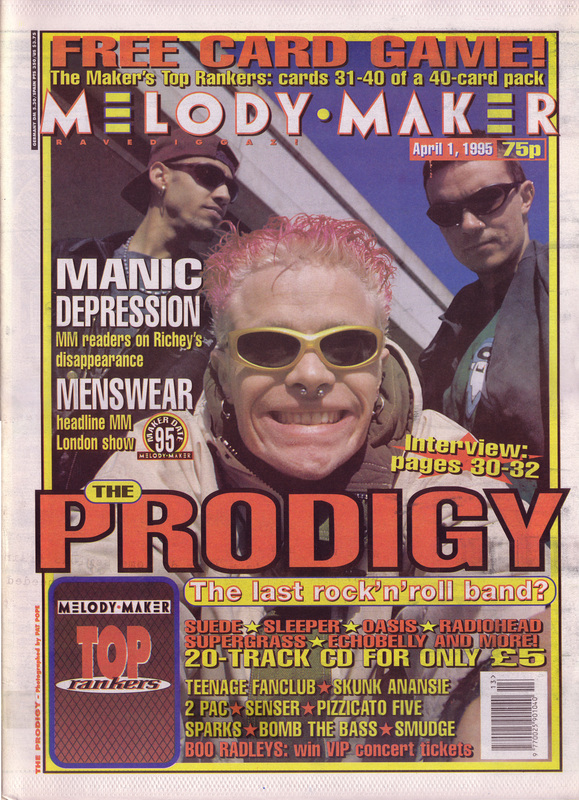 The Prodigy on the cover of Melody Maker, 1st April 1995. Photo by Pat Pope. 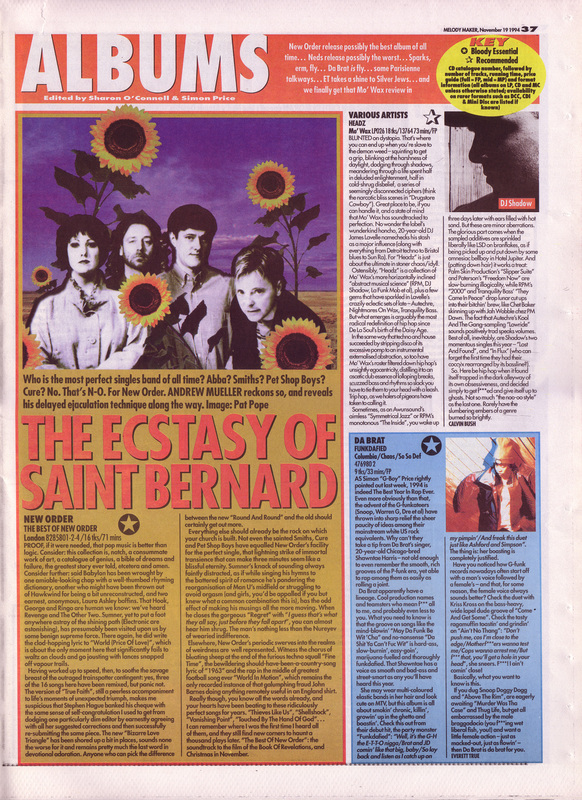 Andrew Mueller reviews The Best Of New Order, 19th November 1994. Image Pat Pope. Another bullet in the chamber for Mueller, which given the intro to this piece, seems an even more appropriate metaphor than usual. 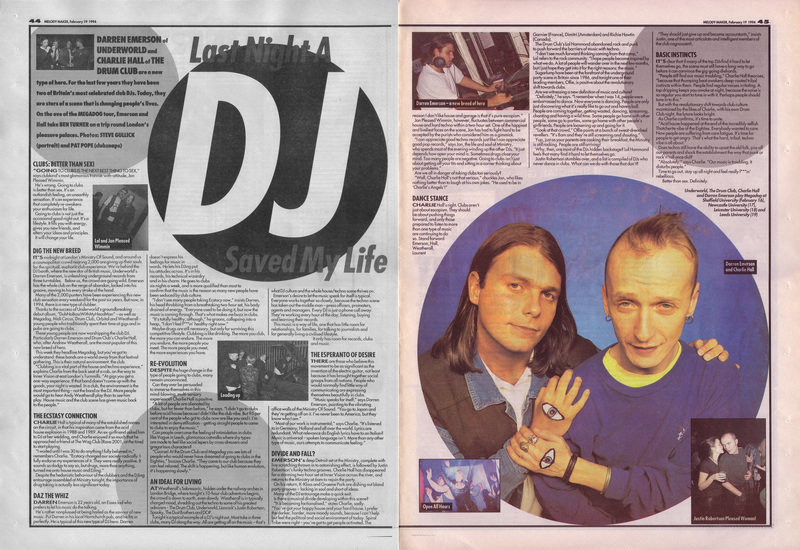 Elsewhere Calvin Bush reviews a Mo’ Wax compilation and ET reviews Da Brat. 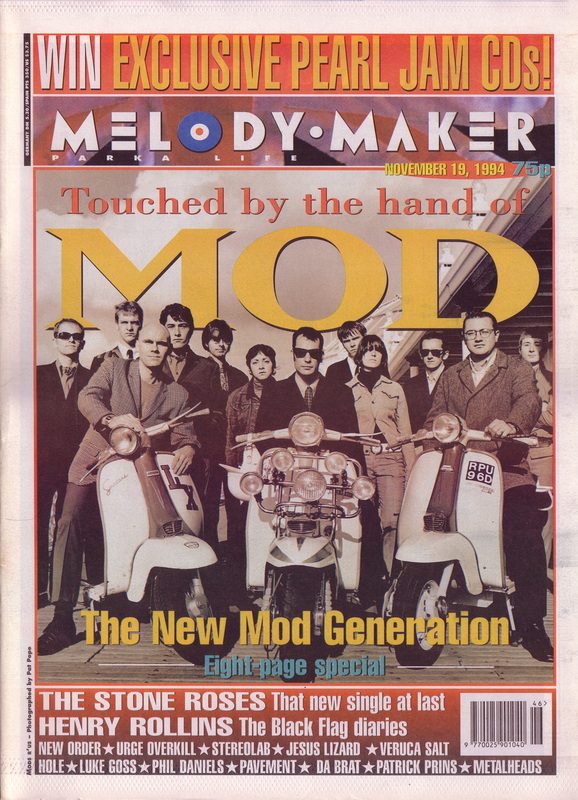 Touched by the hand of Mod – Melody Maker cover, 19th November 1994. Photo by Pat Pope. 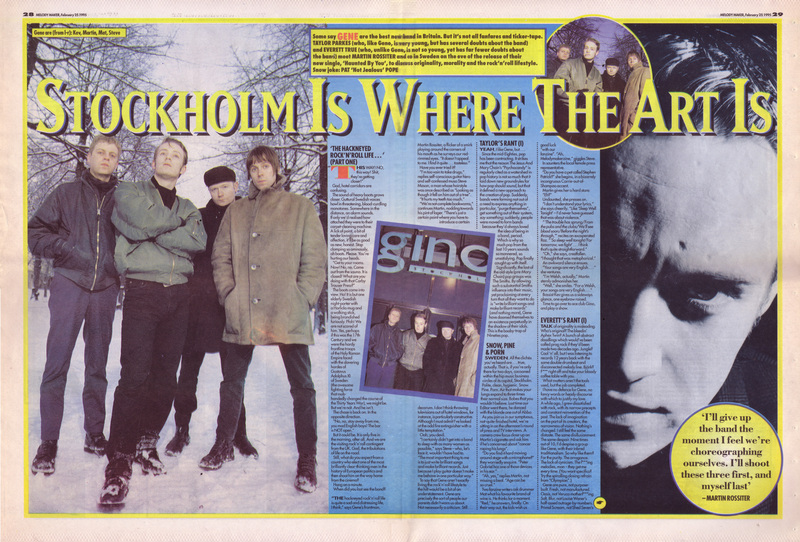 Taylor Parkes and Everett True interview Gene, 25th February 1995. Photo by Pat Pope. Were Gene were any good or not? 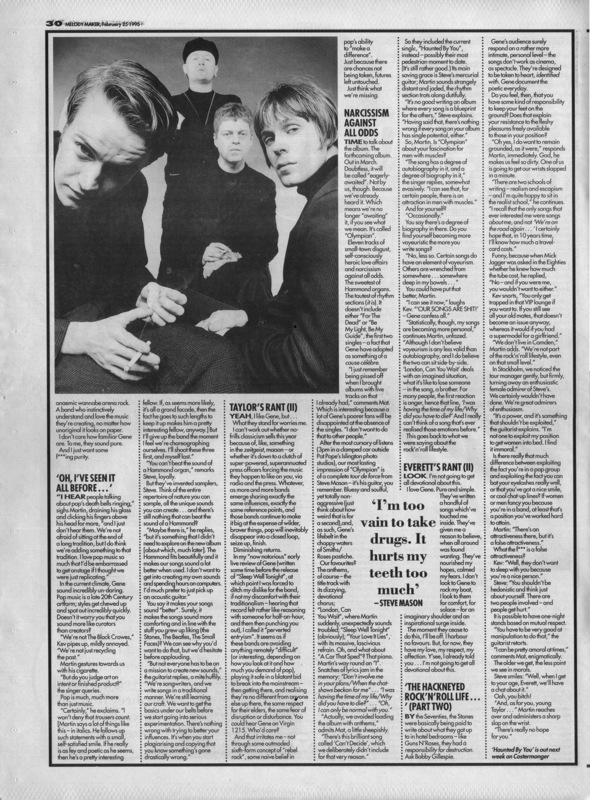 Were they a Rymans league version of The Smiths? 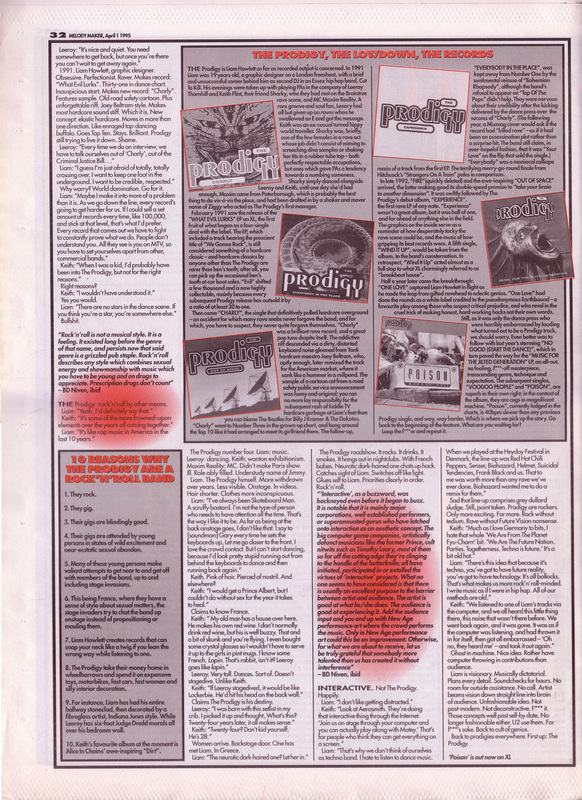 Who cares when the always readable Taylor Parkes is ranting.